"Don's body was (not in view) in a large and very ornate box, decorated with flashing lights – the kind you'd expect to see on a Christmas tree. There was a large portrait of Don at the altar too (considerably younger than when we knew him!) – a happy, smiling picture of him as a young man." Jules and Chris attend a funeral for a friend in Thailand. 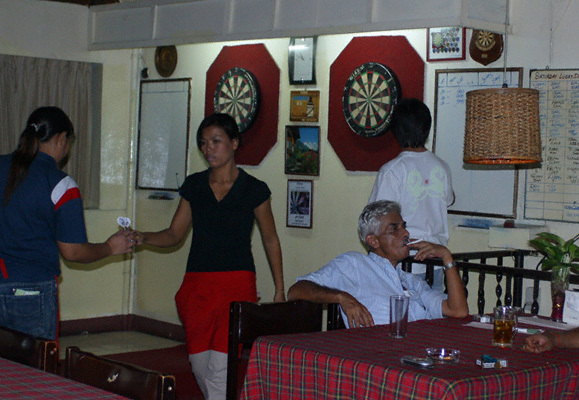 If you're after somewhere cheap, clean and comfortable to eat, drink or even stay in Bangkok, then Domino is the place for you. There are hundreds of places to stay in Bangkok, from backpacker hostels to luxury five-star hotels. Here are some of our favourites. Opening a bank account in Thailand is a lot less bother than you might think - find out how it's done here! 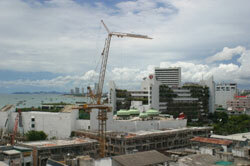 Buying property in Thailand: culture shock! "Before I could see any groundwork laid on the site, I was greeted with the sight of the builders' ramshackle housing made out of tin and used wood. My wife explained that they had to live on-site to keep guard on the materials. When I noticed that they also built a small pen and brought chickens, seeing my baffled face, she said, 'Well, they do have to eat, don't they?'" Henry Jiminez finds setting up home in the Land of Smiles is a whole new experience!